The United States may have created the Internet but Chinese youth are catching up and will outpace American youth online, according to a study released by the IAC, which is an interactive conglomerate operating more than 60 diversified brands in sectors being transformed by the Internet, and JWT, the largest advertising agency brand in the United States and the fourth-largest full-service network in the world. Currently, China’s online population, at an estimated 137 million, is now second only to the United States, estimated to be between 165 and 201 million, according to Pew Internet & American Life Project. But it is attitude more than the numbers that distinguishes American and Chinese youth, with the latter being more expressive online. While a large majority of youth in both countries feel dependent on digital technology, the attitude is especially pronounced in China. As many as 80 percent of Chinese respondents agreed that "Digital technology is an essential part of how I live" compared with 68 percent of Americans. "The Chinese people seem to be way ahead of Americans in living a digital life," noted IAC Chairman and CEO Barry Diller today in Beijing, where he spoke to more than 350 Chinese students at Peking University. "More activity online means a more connected and a more evolved workforce - just what China needs as it makes its move from being the workshop of the world, to a developed economy in its own right." "Like many other areas in comparing Americans to the energy and progress elsewhere in the world, China's speedy evolution in its use of the Internet is fast eclipsing that of the US. I think this is great for China, not so great for us," he added. One of the most striking differences was that fewer than half of Americans (43 percent) agreed that "I often use the Internet to find the opinions of others or to share my opinions." By contrast, China's culture and political environment place less emphasis on personal views and almost three-quarters (73 percent) of Chinese respondents said they go online to share opinions. The study pinpointed one difference as to how Chinese view anonymity online. Chinese respondents were almost twice as likely as Americans to agree that it's good to be able to express honest opinions anonymously online (79 percent vs. 42 percent) and to agree that online they are free to do and say things they would not do or say offline (73 percent vs. 32 percent). What’s interesting to note about this is as Americans grapple with and abuse anonymity while preaching transparency and content controls, these issues may not be a global view nor even the view of the Internet’s majority in a few short years. As one pointed YouTube video reminds us, things change. Lawsuits are odd things nowadays, sometimes serving as smear campaigns rather than the pursuit of justice for which they are intended. The case of Biegel vs. Denstu, as amended and made available by Ad Age, is one where it becomes very unclear which category it belongs. Part of the reason is that the Biegel’s revisions further muddle events and allegations while placing even more aim on Toyo Shigeta, CEO of Dentsu Holdings USA as well as another senior executive at Dentsu. 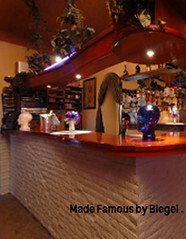 The new complaint even includes the web address of the now famous brothel (pictured) where it all went down. Biegel’s revised complaint now reveals he wasn’t just motivated to stand up just because he was subjected to two years of repeated lewd and sexually harassing behavior, which included forcing him to engage prostitutes, view photographs of crotches, and get naked to “parade” in front of the accused at a Japanese bathhouse. No, Biegel was motivated because another employee was scheduled to take a business trip with Shigeta about two years later. So Biegel confronted his employer on the presumption that this employee would also be subjected to the same humiliating and sexually degrading experience that Biegel had allegedly endured for years. This was also the time that Biegel chose to disclose that he ought to have reported the bathhouse incident (not necessarily the brothel incident) to human resources. According to the suit, Shigeta’s attitude toward Biegel changed from positive to negative after that, with Shigeta virtually cutting off all communication between them. (Ya think?) And this is why Biegel now claims he was not only fired because of complaining about sexual harassment, but also because he is Jewish. Huh? Is there a connection here or is this something out of pulp fiction? In any case, religious discrimination and defamation are added to the case. The latter is presumably because Dentsu denied the charges, which made Biegel look bad. Ho hum. Meanwhile, Dentsu is standing firm in insisting that the allegations are patently false, and filed a motion to dismiss the complaint. Biegel, they say, ignored formal procedures for making grievances about sexual harassment by lodging claims more than a year after the alleged incidents took place. While I can make no assumptions that any of this occurred or did not occur, I can share what might have occurred had Biegel applied ethics. • Biegel could have warned Shigeta that he was offended immediately upon being taken to a brothel and took action to leave the brothel, especially after receiving “orders” to participate with prostitutes. • Upon further insistence or threat, Biegel could have immediately told Shigeta that he would be reporting the incident to human resources. • Upon further insistence or threat or inaction by human resources, Biegel could have filed a lawsuit. Had any of this happened, there would have likely been no other occurrences either because Shigeta would have either understood the point or may have been terminated. But then again, there wouldn’t be $1 million lawsuit several years after the fact either. As I wrote in post yesterday, fearlessness can serve people in business — being “forced” to parade naked in front of your boss would certainly qualify as the time to apply it. The Recruiting Animal recently wondered whether there are some psychological tests that measure courage. It seems to make sense, given that courage is frequently cited as an important trait among leaders. UMSC General Charles C. Krulak includes it among his fourteen basic traits of effective leadership, distinguishing two forms: physical and moral. U.S. Senator John McCain cited its importance as an enforcing virtue for five other virtues common among exceptional leaders a few years ago. And Ben Dean, Ph.D. at the University of Pennsylvania, wrote an interesting piece to define courage as well, citing a great C.S. Lewis quote that it is “not simply one of the virtues, but the form of every virtue at the testing point." However, before considering which tests may or may not measure courage, I can’t help but wonder if fearlessness might be the better measure for business leaders. You see, the two terms — courage and fearlessness — are not the same. Author Dr. Thomas Hora once pointed out that courage relies on the willful resistance to fear whereas fearlessness, based on a higher understanding, is effortless. While courage can be rooted in anger; fearlessness is rooted in clarity of vision. While courageous acts can be performed by frightened people; those who are fearless remain focused on sense of purpose rather than self-concern. In fact, I often infuse the concept of fearlessness while teaching or coaching public relations professionals, advertising copywriters, spokespeople, and politicians. It’s in my lessons, just not overtly so. Three examples of fearlessness in communication. • It comes up when I challenge public relations students (many of them working professionals) with ethical dilemmas such as their supervisor asking them to misrepresent information. Most students, fearful of retaliation and damage to their careers, chose to say nothing. A few courageous students suggest reporting the incident. Usually no more than one will suggest speaking with the supervisor first, which requires fearlessness. • It comes up when I teach advertising. While I always suggest that the first rule of advertising is that there are no rules, I always give them ten. The tenth is allowing for the freedom to fail. That’s fearlessness. While courageous copywriters will stand by their convictions and push their ideas forward, sometimes out of fear of being wrong; fearless copywriters, those who aren't afraid to fail, keep the client in mind. • It comes up while coaching spokespeople and politicians on surviving aggressive interviewers. The most common challenge is working past their fears — forgetting a valid point, being wrong, sounding silly, etc. While courageous spokespeople might take on an aggressive interviewer, it won’t mask their inability to respond to tough questions. Unless they are fearless, they are likely to become defensive, aggressive, or even angry (one client once took a swing at me during a mock media interview session). The fearless spokesperson or politician, even when they don’t know the answer, remains composed, calm, and confident because they know their message and remain poised enough to deliver. Can we really test for courage and do we want to? While I was unsuccessful in finding a proven psychological test this morning (though firefighters are sometimes tested for courage), I did find an article by Pat Weisner about employee interviewing techniques. These two questions, not surprisingly, mirror those asked by “overly aggressive” interviewers. You can catch questions that are framed up just like this on the news; these, in particular, are called needling. While needling and other aggressive questions do not often get at the truth, they sometimes test the interviewee on their confidence in the subject matter and own sense of self worth. Given this, an aggressive mock media interview could possibly reveal a candidate’s level of fearlessness, but each would have to be customized to be effective. To test for courage, on the other hand, you might be better off asking them to apply for Fear Factor. But even so, since fearlessness and courage can be taught, why bother? Maybe we need to teach it more; there seems to be ample fear around and about social media. Sometimes history happens with a whisper. Purple Violets qualifies. Sure, there was ample buzz over the first iTunes movie premiere, enough to make it the number two downloaded Apple iTunes offering, second only to Ratatouille. Yet this Edward Burns film, though likeable, is hardly the kind of popcorn munching cult flick needed to prove the power of new media. Simply put, most of the attention is landing on iTunes over the film because Purple Violets is hard to classify. Many have tried to tie it to the label romantic comedy, but there is not enough funny to make it a comedy and not enough conflict to make it romantic. The truth is that it is not much more than a nicely shot film about four former college loves, now in their thirties, attempting to rekindle what might have been. The acting, directing, and cinematography all measure up; but the script lacks any real direction or punch. And therein lies the reality of this release. When films are hard to classify for marketing purposes, they are generally prohibited from any general release beyond the Tribeca Film Festival, where Violets first debuted. So yes, Burns might have picked iTunes, but only after a lukewarm reception from traditional distributors. Despite the hubbub that somehow this is the first feature film to somehow bypass theaters, there are hundreds of films made every year that receive no more attention than a limited release or sometimes go straight to DVD. Apple iTunes might give these films a chance to live. I think that is a grand idea because marketability isn’t the best measure for a great film, just one that promises blockbuster revenue. But isn’t that what consumers and critics have been complaining about? Films that are marketable but disappointing. Or writers, directors, and producers always catering to the popcorn culture and somehow losing what used to matter. Certainly, worse films have made it further up the food chain. If there is any irony to be found, this destined to be underappreciated slice-of-life indy think piece is really talking about itself in the classic struggle of art vs. audience appeal. 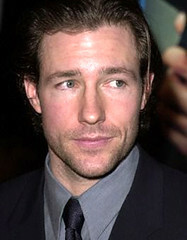 Burns’ main character, Brian Callahan, played by Patrick Wilson, is the author who publishes an underappreciated slice-of-life think book after a long and successful career as a pulp fiction detective novelist. 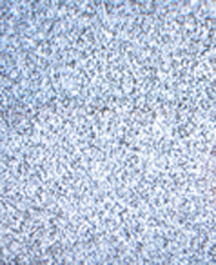 Some of the story touches on whether the general public prefers popcorn pulp over literature. Still, his fate is better than that of Patti Petalson, played by Selma Blair, who never followed up on her successful collection of short stories in college and opted instead to partake in what for her is a passionless career in real estate. In short, it’s a good film but not for everyone. While traditional reviewers enjoy taking shots at the screen size, their focus on the viewing device, download times, etc. is misguided and even ignorant. 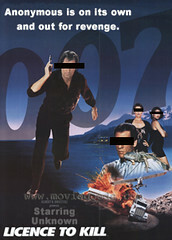 The measure of this film will not provide any evidence of success or failure of the distribution platform. With the major networks and studios balking at iTunes for love of money, Burns has done a great thing in demonstrating someone can bankroll a film and sell it direct to the public. So even if iTunes does not deliver much more than a break even or modest profit for Purple Violets, it’s good to see that well-made independent films can be seen someplace other than film festivals and back alley theaters. It’s a good thing and may even show some promise in putting the magic back into Hollywood. The Electronic Frontier Foundation (EFF) is an international non-profit advocacy and legal organization that is dedicated to preserving free speech rights such as those guaranteed by the First Amendment of the United States Constitution. One of the cornerstone arguments is the right to say things online that will not be connected with our offline identities, as we may be concerned about political or economic retribution, harassment, or even threats to our lives. As someone who has long valued free speech, I agree with tempered reservation. The reservation comes from something that is often missed in discussing anonymity: it is often abused as a license to kill. What is missed is that being anonymous demands even more authenticity, sensitivity, and responsibility than those who operate outside the realm of cloaked avatars and general deflection. A few weeks ago, Whole Foods Market Inc.'s board, overreacting to anonymous postings by its chief executive, amended the company's corporate governance to sharply restrict online activities by its officials. The new code bars top executives and directors from posting messages about Whole Foods, its competitors, or vendors on Internet forums that aren't sponsored by the company. If there was ever a case for attempting to pander to the public and perhaps the Securities Exchange Commission during an investigation, this is it. It was never about what was posted, but rather the deceptiveness of comments made under a fake persona. In this case, the messenger is the message. Chuck Muth is president and CEO of Citizen Outreach and a professional political consultant. He is well known for his conservative viewpoints, well-thought arguments, and biting commentary. In early November, the state’s Children and Family Services (CFS), which acts as child protection services in Nevada, launched an unfounded investigation on Muth based solely on an anonymous tip, possibly to the amusement of his detractors. After reluctantly allowing the sheriff’s deputies to inspect his home and interview his children, Muth was cleared by their inspection. Or, perhaps not. Despite passing the inspection, the CFS has informed Muth that his file would remain open unless he subjected himself and his family to further investigations. In other words, any previous inspection would not be enough. This is no longer about the accusation, but rather the deceptiveness of the accusation and a potential agenda for revenge under supposedly sealed files. In this case, the messenger is the message. Meier, a 13-year-old girl, who suffered from depression and thought she made an online friend with a boy named Josh, committed suicide over his accusations that she was cruel person, unkind to her friends, and that the world would be better off without her. Except Josh was not Josh, but rather the mother of another girl who wanted to gain Meier’s confidence in order to know what she was saying online about her daughter. To date, the woman who created the fake “Josh” profile has not been charged with a crime. The entire story has sparked an online maelstrom of cyber vigilante justice. This is no longer about protective parenting, but rather the deceptiveness of hateful intent under the fake persona “Josh.” In this case, the messenger is the message. In the Meier story, Wired goes on to point to the work of Daniel Solove, professor of law at George Washington University and author of The Future of Reputation: Gossip, Rumor and Privacy on the Internet. The work is important, because as we see with Muth’s story, the danger of unrestrained anonymity remains a license to kill and is not confined to the Internet. It has become the new weapon of choice among con men, vengeful accusers, and hateful posers in a world where everyone is a public figure with the burden of proof landing squarely on those accused, regardless of the masked messengers. We see it too often, accompanied by unjust justifications. The argument made for Mackey is that if anyone was duped into making decisions based on the financial message boards he posted upon, they deserve no less. The argument against Muth is he ought to have nothing to hide from the authorities. And even as the Meier story, which continues to spiral out of control, is being twisted into the idea that the victim got what she deserved. We need an adjustment. While this may seem to be an argument for complete transparency, living in glass houses is not a remedy as we’ve given up enough civil liberties in the private and public sectors. If there is any solution, the real remedy begins with shedding our apparent ignorance that the credibility of the anonymous posters, posers, and tips extends beyond a well-reasoned and authentic argument. Simply put, allowing for anonymity preserves one freedom; whereas placing additional burden on the validity of anonymous accusations will preserve another. It’s something to think about. Freedom was not born out of emotional polarity, but rather well balanced reason. And until those who use anonymity for selfish rather than selfless pursuits are brought to justice for bearing false witness against their neighbors, we are all at risk to become their victims. Or equally disheartening, we will lose our own right to privacy when it matters most. Yesterday, I mentioned being thankful for social networks, especially BlogCatalog, because they connect me with bloggers who help me keep it real. What I mean by that is that, all too often, the conjecture of social media measures, especially popularity, is promoted as the end all measure. And, as a result, blog readers tend to give more weight to blogs that are “popular,” sometimes overlooking many that have value or even influence influencers, without much credit or thanks. I am thankful for all of them. You see, while I mostly write about business communication, I'm often reminded that most definitions surrounding social media are as erroneous as any that have been attempted to define art, except one. Here is an eclectic mix of ten blogs (alpha order), with a Technorati authority under 100, to represent thousands we’re thankful for, many for very different reasons. 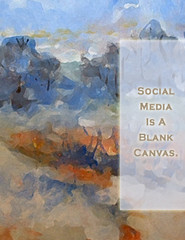 They also represent why social media is nothing more than a blank canvas until someone fills the space. Ami G’s Blogspot is billed as his personal page of public consumption. Every day, he captures some of the more poignant thoughts from around the Internet in fields that most marketers would never think to look at. He picks them, he says, because they amuse, interest and engage him. What you’ll find: A collection of everything below the surface. AntiBarbie isn’t for everyone, but she certainly knows her readers. She presents an unabashed gritty viewpoint, and occasionally short prose and poems. Some of the best of it even touches on blogging with posts like “How Not To Make Friends Blogging.” What you’ll find: A glimpse into what people might really think of popularity pandering. Sean Unruh’s photoblog, Dust And Rust, presents a candid mix of striking and not-so-striking shots. His most recent additions, Old Rhinebeck Aerodrome, are among my immediate favorites. What you’ll find: Unabashed objective reviews of the photographer’s work along with some brilliant shots. EXCELER8ion is Julian and Shannon Seery Gube’s take on the world of social media, interactive marketing, and technology. It’s one of the cleanest, visually engaging blogs out there that shapes social media by working it rather than hypothesizing about it. What you’ll find: strategy behind tactics. Living Zimbabwe is a brand new eye-opening blog focused on Zimbabwe, a landlocked country located on the southern part of Africa, north of South Africa. It’s currently suffering a disastrous humanitarian crisis, plagued by drought, an HIV/AIDS epidemic, and government reform. As of mid-2007, more than a quarter of the population has fled abroad, including its author who is currently living in New Zealand. What you’ll find: whatever you bring with you. In addition to its movie rating system, Moviecat artistically infuses cats into the movies because author Rob G proclaims “Well, why not!” It’s simple, fun, and visually appealing at a glance, which makes it a fine example to illustrate that blogs are whatever you make them. What you’ll find: imaginative graphic art and something that will make you smile, whether you’re a cat and a movie fan or not. Jack Payne says he doesn’t have a clue what his Technorati rank for Six Hours Past Thursday might be. Mostly he writes about the art of being a con man in virtually every profession. One of his most recent posts includes common con man language; words employed by, gasp, many of my colleagues. What you’ll find: How to turn a phrase. Theresa Hall’s Sleeping Kitten Dancing Dog blends blogging, art, photography, and pastry. She was one of the first to re-greet me on BlogCatalog after the new owners made changes that intrigued me several months ago. She occasionally reminds me to keep it light, as light as a buttered croissant. What you’ll find: A few dozen reasons to be hungry. SU Com is a dual BlogCatalog/Twitter find, which was started to provide hints and tips to optimize StumbleUpon. Since, Teeg has added comments other tools and technologies from time to time. All of it is presented in an engaging conversational style that separates this blog from techno-stiff tips that people have to sift through to find answers. What you’ll find: Tech tips in plain English. Bill Sledzik says he sometimes feels marooned in between the Cult of the Amateur and The Cluetrain, which makes him one of the more balanced voices about social media. I don’t always agree with him, but I wouldn’t like him if I did. Tough Sledding is one of the most overlooked but relevant public relations/social media blogs out there. What you’ll find: balance. Last weekend, my son was pretty upset after his plans to spend the afternoon with a friend fell through. He was rightfully disappointed, then started to sulk. It may come as no surprise to some, but I’m not a big fan of anyone moping around, especially when it seems to be a plea for misery to have company. So I shared with him a little bit of wisdom and set him out on a task. Rather than losing your present to a past you wish might have been, why not get to work on a project, I said. Thanksgiving is right around the corner and it would be great of you to make a book of 10 things you might be thankful for, using art, words, and pictures. He went right to it. There is a lot to be thankful for, every minute of every day, as one of my friends (and client) likes to say. Here are ten at random. iTunes. Yep, as silly as it sounds, portable entertainment still amazes me. Music sets a great pace for the gym; lectures from Stanford add value while cleaning house; and downloadable shows, they certainly came in handy during the 4-hour wait at the DMV. It’s media snacking at its best. Communication Arts. If there was ever a case for printed publications, CA is it. Anytime I become frustrated by the abuses within our industry (meaningless creative, distress ads, and faux rules), CA reminds me that there is some amazing commercial talent out there. One random call. You never really know if what you teach will be applied until a student calls from a bookstore to ask which book you recommend; and then wants to make sure she’s enrolled in anyother classes I might teach this spring. I’m teaching three, including social media. The Recruiting Animal. Sure, he might be billed as the recruiting industry’s unabashed shock jock, but he quickly became one of my most trusted friends online. Never mind that I still pack silver when I’m around him. As I am with all my friends, online or off, I’m thankful to have them. My daughter’s feet. The staph infection that had worked its way into the bones during our daughter’s first three months of life (a year and a half ago) will leave no permanent damage. We found out last week. It’s hard to believe she was once the size of a 12 oz. water bottle. Grateful doesn’t begin to measure little things as they relate to family. Jericho fans. Who would have ever guessed that asking a simple question, like what would you do with 22,000 pounds of nuts, last May would have resulted to our longest-running dual case study. Jericho fans still amaze me, and watching Jane Sweat evolve as a blogger has been a gift. Check out her newest endeavor. BlogCatalog. There are many social networks, and I appreciate several. But the BlogCatalog team and its members keep it real. Although I tend to focus on social media as applied to business communication, they are the ones who remind me it is often the least linked private blogs that add real value (more tomorrow). Our clients. I rarely write about clients here, mostly because I find the daunting demands of disclosure as set by social media often irrelevant, inconsistent, and distracting (as if relationships somehow make us less than objective when objectivity is called upon). Even though I don’t highlight them here, I’m grateful for every assignment, account, and relationship. There would be no blog, nonprofit contributions, or university classes to teach without them. Patrick Bertoletti. He set the world record for consuming four and three quarter pounds of turkey at the Thanksgiving Invitational eating contest two years ago. He did it in 12 minutes. What better way to add wonderment to a holiday. That and 110-foot Superman balloon that floated down Broadway during the Macy’s Thanksgiving Day Parade. Thanks, George, for our nation’s very first Thanksgiving proclamation. 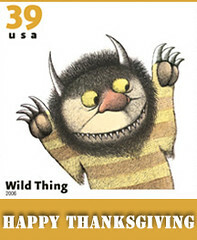 Where The Wild Things Are. A book that reminds me, no matter what you do or where you go in life, taking friends, family, colleagues, clients, readers, and whomever for granted is easy. That is, until you no longer have them. "... and into the night of his very own room where he found his supper waiting for him ... and it was still hot." It might look clunky at a glance, but it’s the first generation sneak peek of the future. And like most technological breakthroughs that shock the system, the Kindle, a pricey and apparently improved e-reader, is no exception. There were 3,200 posts and counting, just yesterday, equally split between positive and negative opinion. There were 398 reviews on Amazon, delivering a divided 2.5 stars. And while Seattlest jumped with comments that included “I wouldn't use it if someone gave it to me for free,” Barnes & Noble saw its stock drop 5 percent. All because of hyperbole before the first Kindle could ship. Yet, very few people even mentioned this fact. It was too late, with just one more example of how bloggers follow media. Social media chimes in on any story when it seems especially hot. If they don’t, their readers will be discovering new blogs, maybe better. Here are some highlights that struck me yesterday. "This is a disruptive approach, the sort of thing only a market leader could pull off. It changes the world in a serious way." — Seth Godin with the marketing perspective. “It’s not going to revolutionize the industry overnight, though it sounds like Amazon is going to take this business seriously and continue to invest in it.” — Joseph Weisenthal with the tech perspective. “Whether this will be the death of print concerns me less than if it will be yet another slow down in reading complete books -- the physical or digital kind,” — Valeria Maltoni with the human perspective (my favorite kind). “That Jeremy is probably right. I’m excited about the new reader to be sure. But getting geeks like me excited by a new “shiny toy” is pretty easy. Getting a large market excited? That’s a LOT harder.” — Robert Scoble with the geek predictor perspective. 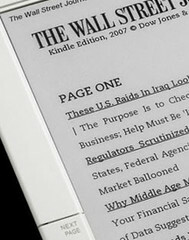 “So unless you live in a dark cave (without Wi-Fi) you know that the Gadget News of the Day was Amazon's release of its eBook reader called the Kindle.” — Danny Dumas, with the recap perspective, including Jose Fermoso’s roundup of eight more opinions. Did anyone notice the media has already embraced this? They’re on the subscription list. It makes them relevant; expect many more articles ahead. So there you go. Maybe it will be Kindle and maybe not. But there are truths inside the truth because this is playing out much like the iPhone. There was a split decision a few months back. A lot of people came out for and against it. It was all kind of silly. But today, all that conversation is irrelevant because Apple sold 1.12 million iPhones last quarter, representing 27 percent of the smart phone market in the United States and 3 percent of the overall cell phone market. Not bad for Apple’s first phone. Unless there is a serious technological flaw, like charging you to put your own content on it (oh right, there is) you can expect the same with Kindle or the second generation reader that someone is already busy working on. But I don’t want to play guessing games. Instead, I’ll offer two observations. Sometimes social media gives permission to craft a runaway opinion for the sake of having one. And there is nothing wrong with that. Opinions are like bottoms and everyone has one. In the age of glass bathrooms, full moons are not only invited, but some say they’re required. The Kindle aside, the technology behind it represents an opportunity to educate everyone on the planet (once there is a price point drop), giving them access to the best books ever written. And, it also represents an opportunity to enslave humankind by filtering future content and killing the last refuge of reader privacy at the same time. Zagat Survey today announced the results of the 2007 Zagat Global Airlines Survey. Singapore Airlines took top honors as the best international economy class and Midwest Airlines pulled the No. 1 spot for domestic economy class again. Midwest Airlines has taken top honors in the past eight Zagat surveys; Virgin America and JetBlue Airways followed as No. 2 and 3. JetBlue continues to score big with its fans despite the “nightmare delays” last winter. But all is not bliss as public relations professionals like to claim. JetBlue continues to balance leather seats, satellite TV, and happy crews, and decent snacks against rising prices, limited routes, and points that expire. Still, third is a long way from the bottom, an honor that belongs to U.S. Airways, which came in last among domestic airlines. (And Philadelphia International came in fourth from the bottom among airports.) Hmmm … I wonder why. The survey covered 7,498 frequent fliers who rated 84 airlines and 46 major airports. Each airline was separately rated on its premium and economy service for both domestic and international flights. 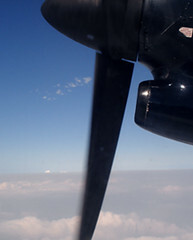 The typical survey participant took 19.7 flights in the past year aggregating 147,000 trips. For complete results from domestic and international carriers, visit Zagat. The old number was 80, but the new number might be significantly higher. One station general manager told me it is as high as 240 impressions before a message begins to stick. That’s a boatload. And advertisers, marketers, and media are all working hard to keep up by finding new places to tap space for advertising. So if you aren’t excited by advertising that pops up on the bottom of the screen, stay tuned — Bravo tests a new L-shaped bar that will potentially deliver even more ad messages. Not everyone is happy about it. "It's distracting. It's frustrating, and you feel helpless," said Robert Weissman, managing director of Commercial Alert, told Advertising Age. According to their Web site, the non-profit’s aggressive mission is to keep commercial culture within its proper sphere. Part of the reason for the increased proliferation of advertising is part Internet (with Facebook leading the charge) and part consumer behavior toward network television. The American Advertising Federation is currently running a smart poll that asks its readers if they use their DVRs to fast-forward commercials. So far, more than 85 percent say they do (and AAF SmartBrief readers are predominantly advertising people). 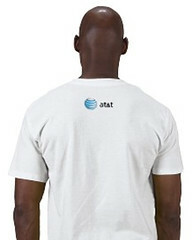 If you like the idea and purchase a shirt with your custom mash-up, you’ll also sport the AT&T brand on the back of your shirt. Allowing consumers to partly embellish the design is pretty creative in engaging consumers. However, when you start to stack it all up, one starts to wonder if marketers are becoming a bit delusional over the values of frequency and reach at the expense of the value proposition and message. Who knows? Perhaps advertisers are unknowingly searching for a tipping point when seeing a brand name everywhere might create a negative impression. (Think Pairs Hilton or Britney Spears saturation). Then again, if there is no tipping point and seeing identity-driven banners anywhere and everywhere really does mean something to consumers, I might start selling a piece of dry erase board when I’m teaching again in spring. A badge on my suit? Well, that costs extra. Verna Corbett and her husband Blair know something about children. All together, they are raising 10 children, five of which were adopted from the foster care system. But even more amazing, their hearts remain bigger than this family of 12. Every day, the Corbetts do their best to heal the pain endured by their five adopted children. Most of them have suffered through extreme neglect as well as severe physical and sexual abuse at the hands of their birth parents. For Corbett, joining one of 10,000 bloggers who participated in Bloggers Unite, the fourth social awareness campaign organized by BlogCatalog, was natural. So natural, unlike most bloggers who were already BlogCatalog members, she submitted all of her blogs the day before the event — just to participate in the campaign. While all of the posts are touching testaments to her family’s efforts, one penned by Corbett, Innocence Gone, provided a stirring glimpse into Ark Of Hope for Children, an inspiration that has become a lifelong labor of love and commitment to help heal the hearts of children who have been abused. The Ark Of Hope for Children is a non-profit organization that will build a Christian-based community of homes to provide stable, loving care for previously abused and neglected children, who are currently among the 32,000 children sheltered by the Florida foster care system (there are more than 512,000 children in the foster care system nationwide). Currently, the family is raising funds to pay down the $130,000 balance on the 80-acre property before beginning to raise money to build the homes, but they have other needs as well. To help raise additional funding, slated for the first home, the family has also joined Change.org. Change.org allows people to donate to specific needs to the organization. Keep in mind that the Corbetts are doing all of this while raising and caring for their own family, which already includes five children saved. Corbett says it can be challenging, especially since the non-profit is separate from their family, but they have faith. According to Corbett, more than 162 other BlogCatalog bloggers are now included among those who see their love, faith, and devotion to being part of the solution. She includes the entire BlogCatalog team, who she says were very helpful and gracious in approving all their blogs at the last minute, just for the opportunity to participate in the campaign and enter the Blog For Hope Contest sponsored by Copywrite, Ink. in cooperation with BlogCatalog. Among the prizes, Copywrite, Ink. will be donating any proceeds from “Shed No Tears” T-shirts, which Corbett’s post helped inspire. Knowing that T-shirts tend to help raise awareness more than any tangible funds, I can assure you that this pledge is simply not enough. The Ark Of Hope needs your support as the Corbetts are doing more than their part; several contractors have offered to provide their services at cost. If you cannot donate for any reason, consider sharing their story with others. If you cannot share their story, save a prayer for them and the lives of 32 more children that hang in the balance. Prayers, at least, are free. You can start by simply reading Verna Corbett’s winning post. Congratulations again, Verna. And on behalf of the judges, thank you for touching our lives and allowing us to help tell your amazing story. Most people already know that the Writers Guild of America, West, (WGAW), and the Alliance of Motion Picture and Television Producers (AMPTP) have mutually agreed to resume negotiations on Monday, Nov. 26. While Patric Verrone, president of WGAW, cautioned that returning to the bargaining table is only a start, it seems unlikely this strike will eclipse the five-month strike that occurred in 1988. Why? The Internet, of course. No, not because of the impending mass exodus of viewers to the Web as The Wall Street Journal might suggest to some. Forbes seems to have captured the better picture on this concept, noting that Americans tuned in to television programming more than eight hours a day last year, a record high unchanged from the previous year. Network ratings aren’t down because people watch less television. They are down because viewers have more control over their entertainment options. Simply put, if viewers do not like what is on the major networks, there are hundreds of other channels to choose from. And, if they don’t like any of those programs, there is always the DVR list, stocked full of saved programs. Convergence will work in other ways, but it won’t mean the death of television, only a transformation of how we see it today. Most of it will be for the better. Passive viewers have become active consumers. And these consumers connect, organize, and take action on (and off) the Internet. Let’s take a look. 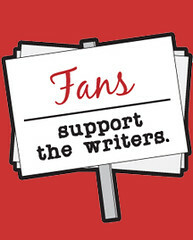 Fans4Writers, which was started by Joss Whedon (Firefly and Buffy The Vampire Slayer) fans, quickly opened to other veteran fan groups, including well-organized Jericho and Veronica Mars fans. This created a near immediate communication stream, first between all fan groups, and then between fans and writers. It works something like this: striking writer captains upload a message on the Internet, like sending pencils to “media moguls.” This information is rapidly picked up by Fans4Writers. Unofficial representatives of various fan groups quickly relay this information to their centralized forums, which is then taken up by individual fans. The communication stream takes a few hours, maybe minutes. 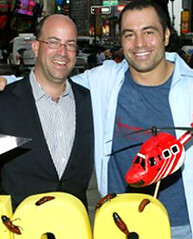 In contrast, the networks are mostly communicating their case through the AMPTP, which posted its defense online and then attempted to communicate its message through mainstream media, primarily print (because network coverage of a writers strike doesn’t resonate). These messages are then filtered by journalists, some of whom are more sympathetic to the writers, who make better interviews anyway. It might take a day or days for the communication to reach the public, and there is no guarantee the message will survive. In fact, it often doesn’t. So, there is a good chance the Internet, which caused much of the contract conflict, will likely also be the reason this strike will be short. After all, networks and studios tend to have a neutral or even adversarial relationship with their customers whereas producers and writers are becoming increasingly engaged with them. When you think about it, this creates a significant brand shift. When today’s viewers think Jericho, they think Carole Barbee and Dan Shotz (some even think Steingberg, Chbosky, and Schaer), before CBS. When they think Firefly, they know Joss Whedon. When they think Veronica Mars, it’s Rob Thomas. It used to be only a few creators were so well connected with fans; nowadays, it’s everybody. No wonder only 6 percent of the public support the executives and 72 percent support the writers. For fans, the brand disparity seems apparent: writers create the shows they love and the networks decide if they’ll be allowed to watch them. “… most bloggers who have not yet established a large readership and built a solid base of well-tagged content for search engines get very distracted by all of these measurements and allow themselves to become [too] focused on these metrics …” — Alan Jobe, noting that, even so, it is still important to be aware of them. Jobe’s comment came shortly after I asked BlogCatalog members what they thought of prevailing social media metric measures, which I asked along with presenting my I/O=ROI concept yesterday. Only a few answered, but they were the right ones. I trust Jobe’s observaton as a seasoned blogger with two blogs, including one of my favorites, The Thin Red Line, where he reviews books. I also tend to agree with his point as well, which leads me to clarify my theory. My dismissal of Google PageRank, Technorati authority, Alexa traffic, etc. as measures does not suggest that metrics are not part of the social media equation. They just don’t belong in the measurement column and an SEO blogger told me why. I have a good example. One week ago my Technorati authority was 201; today it is 176. If this a true measure, someone might conclude our blog is in trouble (some bloggers might even panic). But the truth is that my authority was unintentionally inflated as part of David Meerman Scott’s 150 bloggers “I’m in the book!” link list. One hundred and eighty days later, those links fall off, except for the handful of participants we have since engaged on other topics. This is the one flaw with the short-term transaction like “link love” and tagging long lists of people for no reason other than implied payback link. It serves as a short-term metric inflator, which makes Technorati a less than ideal ROI measure. This makes a lot of sense to me because it fits with strategic communication and drives home the point that some metrics, currently counted as measures, aren’t really measures at all. They do, however, indicate reach. I think it's an important distinction for bloggers and social media professionals to make when speaking to new entrants: most metrics, on their own, are not indicative of any true value just as the number of billboards doesn't mean you have a good product and the number of political signs doesn't mean you have a good candidate. So I/O = ROI works. Intent times (value proposition plus effective communication times reach) equals Outcomes. Outcomes divided by Investment (budget plus time plus experience) equals Return (cost per outcome). Ergo, social media metrics are part of reach and not the outcomes. The reason is pretty simple. You can gain just as many links and traffic with a social media crisis or plea to readers as you can with something that reinforces your brand. Given that, metrics cannot be an accurate measure for business. For individual bloggers hoping for more readers, the equation may need a term adjustment. Passion times (niche expertise plus good content times promotion) equals Readership. Readership divided by resources (budget plus time plus knowledge) equals Influence. In other words, pursuing social media metrics (reach/promotion) before you demonstrate expertise and solid content, as some bloggers do, only damages influence over the long term. As the old adage goes: good advertising is the fastest way to kill a bad product. Oh, if you are wondering why I qualified individual bloggers as those who want readership vs. any blogger, it's because not all bloggers want readers. For example, I have a private and secure blog that no one outside of our extended family will ever see. The point being is that its success cannot be measured by social media metrics. Likewise, for many bloggers, having fun is enough and sometimes that is the best measure of all. And that's why I/O = ROI works for them too. The debate seems endless. The argument circular. And the affirmation echoes apparently tied to technologies like Google PageRank, Technorati authority, Alexa traffic, Feedburner subscriptions, Facebook friends, Twitter followers, return visitors, comment counts, and any combination of the aforementioned. We may as well be counting column inches and trying to convince clients that public relations can somehow be equated to paid advertising space of roughly the same size; count total mentions in tier one publications (whatever those are); or assign erroneous values to stories that are positive, neutral, or negative despite knowing that negative stories carry eight times the weight. 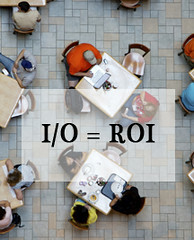 How do you measure the return on investment of social media? Simply put, social media measurement depends on the ability of the communication to meet defined objectives. In other words, much like public relations, the intent vs. the outcome is the ROI. Even the evolution of this blog works well as an example because its purpose has shifted three times since its launch in 2005 (we had run several experimental “ghost” blogs prior to launch). Each time, regardless of rank, authority, etc., it met its objectives. The initial purpose was simple — augment my classroom instruction with observations, including comment on communication examples in real time; develop handouts for classroom discussion; and evaluate the potential business applications of blogs for select clientele. While the original purpose did not change, this blog began to evolve from its early academic function to a dual-purpose communication vehicle. On several occasions, prospective clients had visited this blog from a Web site link and selected us based in part on what they read. We knew because they mentioned specific posts. 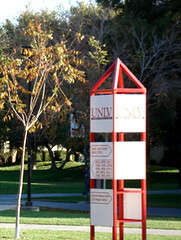 • Augment educational instruction for public relations certificate students at UNLV. • Evaluate and experiment with new technologies so we weren’t asking our clients to test them. • Promote select experience, especially because it changes too frequently for other communication vehicles. • Reinforce our mission to produce the most effective communication possible by composing powerful messages across all media. Meeting these objectives expanded our knowledge base about blogs and others trends in social media, including spotting convergence earlier than most after of a chance discussion with AT&T. In addition to the above, it provided a communication vehicle for non-news direct to the public. (Unlike some in public relations, we don’t spam the media with non-news). We also secured several accounts that we may not have secured without the benefit of the blog because our strategic communication skill sets became more visible. It also helped expand our out-of-market clientele base. As a sub consultant for advertising agencies, public relations firms, etc., we really cannot afford to share as much as I would like because, frankly, many accounts we work on are not our clients, but accounts served by our clients. Sharing insider information is unethical. However, by the end of 2006, we noticed that there were ample case studies materializing on the Web where CEOs and communication professionals seemed baffled by the outcomes, despite the fact they seemed obvious to our team. So we shifted our objectives once again by taking strategic communication principles well beyond the classroom and into the real world with a bigger audience. • Augment educational instruction to prepare students for a communication landscape that has changed. • Experiment with new technologies, gaining insight and understanding in how they may impact communication. • Engage in the conversations presented by colleagues to assist in deepening the fundamentals of social media without losing the proven principles of strategic communication. • Demonstrate experience and a value proposition by presenting insight into living case studies that represent best and worst practices rather than talking about “us” all the time. In evaluating the parsed objectives above, you might notice that they cannot be measured by Google PageRank, Technorati authority, Alexa traffic, Feedburner subscriptions, Facebook friends, Twitter followers, return visitors, comment counts, and any combination of the aforementioned. On the contrary, the measures are based on how well students are prepared for social media; how much we understand new media trends as they relate to communication; whether we deepen conversations on select topics; and if, as a byproduct, we are able to develop and nurture long-term relationships with clients and colleagues by sharing knowledge. It’s about that simple, or perhaps, that complex. One blog. Three different communication purposes. All successful based upon the stated objectives. And not even one purpose is tied to “activity” measurements. In fact, if we begin to measure success based on activity and not intent vs. outcome, we risk allowing the message to manage us rather than us managing the message. More tomorrow, despite breaking the short post rule once again. Ho hum. Now I have to go wait in line at the DMV. Measuring "activity" there is futile too. 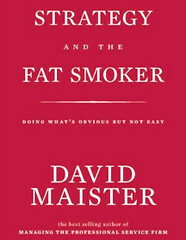 Beginning straightaway with the title of David Maister’s new book, Strategy And The Fat Smoker, he shares the pointed observation that most professionals, especially managers, already know what to do for long-term success (and why to do it), but are too easily swayed by bad habits, short-term temptations, and misaligned measurements. It’s a classic definition of the difference between intelligence and wisdom: smart enough to know, but not wise enough to do. We already know that our business goals are best served by developing long-term relations with our clients and customers, but we’re too easily distracted by chasing any and all new business because the short-term transaction is so very, very tempting. In advertising, it translates into runaway creative without the benefit of communication purpose. For social media, it might mean link love and buzz vs. the pursuit of tangible business outcomes. In our personal lives, it might be super sized fries for lunch, every day, because packing a sack is too darn inconvenient. We already know what we could be doing but until a crisis occurs, we’re forever stuck on the short-term treadmills that take us nowhere. Well, most of us. You really don’t have to endure a crisis to actualize a better business strategy. As Maister, a recognized authority on the management of professional service firms and former faculty member of Harvard Business School, notes: all businesses talk about outstanding client service, teamwork, healthy work environments, and investing in the future. But so few really do, largely because their statement of objectives does not match the outcome they want to measure — increased revenue and profit margins. We know it’s true, despite the fact that very few companies tell the truth, plainly stating that they are most interested in chasing cash and, nowadays, Web traffic. And, most that don’t talk about it are usually delusional or just plain liars. No wonder there is a disconnect between businesses and their customers. 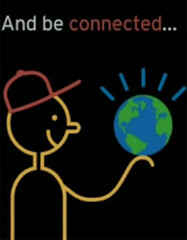 Where Maister will likely strike a chord with some is in pointing out that applied wisdom leads to sustainable success. He presents a case for how individuals, managers, and organizations can put what they know how to do into action. However, we can only hope that someone inside every fat company can use the various tools, techniques, and thought processes to convince the executive team that a diet is warranted. While some will find the shifts between individual and organizational strategy, as well as some personal experience tossed in, a bit jarring at times (along with frequent references to his other books), it’s not enough to detract from the value that can be gained. Maister expertly paints an accurate, if not frightening, picture of business as usual today. However, he distinguishes that such short-term work-under-fire tactics are exactly that — tactics that will eventually lose their effectiveness and eventually elicit resentment. In contrast, proactive, passionate, and positive management teams energize and excite people about what they do, which in turn becomes tangible in the way the workforce interacts with clients. Long term, applied wisdom will lead to better financial results. He’s right. As I’ve often advised agency owners, especially those who have an account executive background, negative reinforcement can teach mice to press a bar for cheese, but it never did anything for creativity. And even with mice, too much negative reinforcement will eventually immobilize them. My net assessment of Strategy And The Fat Smoker is that it provides some much needed advice for the increasingly fast-paced world of random transactions, especially those that occur online. Business, especially communication, is poised for a shift toward relationships that mean something, whether that means people to people or product to consumer. Strategy And The Fat Smoker is an important first step for managers and leaders to look in the mirror and take action before the crisis. And based on the Watson Wyatt study highlighted in October, I suspect Maister’s book will be on the shelf none too soon. In the interim, I highly recommend his blog, one of the few I frequently read without ever becoming irritated by the content. But then again, as a strategist in principle if not always practice, I prefer it over the noise that sometimes overshadows good work elsewhere. It’s good enough that I’ll refer to and reference his book often. It's just another observation: with social media, almost no review is limited to a single post, but instead becomes infused in the principles of the writer. With Maister's principles so close to my own, it's easy. Social media sometimes appears to be an inch deep and a mile wide. At least that is the way it looks to some because social media, or new media, is still in its infancy. As a result, it’s often easier to build an extension to the wafer thin model than dig deeper, proving or disproving what is being considered today. Regardless of the sessions attended or exhibitors met at BlogWorld & New Media Expo, this point became especially apparent when Chris Brogan and Jeremiah Owyang asked their session participants if they felt they could have been a speaker — the vast majority of attendees, predominately bloggers, raised their hands without hesitation. This isn’t a reflection on BlogWorld as much as it is an observation that many new media speakers need to deepen their topics. It’s part of the art of listening before engaging in conversation. With that in mind, I’ll highlight three sessions and save exhibitors for a deeper review another time. Paul Gillin, author of The New Influencers, invested ample time speaking about social media influencers (and the influencers of the influencers) and participatory journalism — which he considers the future of journalism — everyday people contributing their unique and sometimes conflicting perspectives on any given event. This media model is not all that dissimilar to the example he provided about Northwest Voice or perhaps indicative of two videos recently highlighted by Amitai Givertz, Prometeus – The Media Revolution and Epic 2015. While Gillin is right in that traditional media is struggling to stay relevant (and funded), someone might ask if this is what we really want — a world dominated by collective opinions that make up our self-selected existence, with no one, and I mean no one, working to find the truth beyond their own biased sense of reality. It seems to me this story was already written by a gentleman named Yevgeny Zamyatin. His book, which influenced both a Brave New World and 1984, presents a dystopian society where numbers, not unlike Web addresses, replace names. The concept of transparency takes on physical form in an urban nation constructed almost entirely of glass. This is not a criticism about Ezarik. She is one of many bloggers turning to multimedia to expand their presence in a new media world. Originally a photo blogger, Ezarik presents her life as an open book and has captured an audience as a result. She’s not alone. Plenty of people are willing to live in glass houses. If that isn’t enough, check out Mogulus, which is currently in beta. Still, most of the discussion during that session descended into developing fan bases by adding multimedia to blogs. It also touched on privacy issues, detractors, and Laporte’s justifications for not allowing comments on Twitter while not recommended other people follow suit. Interesting, but not too deep given that most of the audience was beyond focusing on passion. Not deep, because at one point, Laporte was surprised he still had a half hour to fill. That said, if there was one session that deserves props (noting that I did not attend several sessions presented by many people I read online), then it was Chris Brogan and Jeremiah Owyang who did not disappoint. 1. In the rush to tell businesses that they might listen to and engage their customers, social media experts sometimes forget to listen to and engage their customers, which are those businesses. 2. Measurement begins before any social media effort is launched as that is the best place to begin benchmarking. Measurements are not necessarily tied to Alexa traffic, Technorati authority, Google page rank, etc. 3. Entering social media is more likely to succeed for businesses that employ it as an extension of their business strategy much like Owyang did for Hitachi. 4. Using a marketing megaphone makes about as much sense as standing on a street corner and waving your arms. Try adding value to the customer’s conversation. 5. Successful social media remains grounded in strategic communication. The language may have changed, but the concepts and theories are largely the same. 6. Social media tools and technologies will continue to change for a very, very long time. And that means the best reason to employ technologies like Linkedin or Facebook or mySpace is because specific customers, your customers, are there. 7. As always, it is always better to find the right people than worry about finding lots of people. This concept is already being infused into traditional marketing. Ratings and circulation are becoming less important than engaged consumers. All in all, Brogan and Owyang succeeded in bringing the value that I was hoping to find at BlogWorld. Instead of the selling the idealistic notions about social media that will one day lead to the One State collective, they remain grounded on what needs to be done more often — offering a depth of conversation — well beyond those tempting snacks. Social media is not always about what can be done. Sometimes it’s about why something needs to be done for each specific company. Few things just happen by following a formula. Great works need a plan. Before my grandfather (16th Infantry, 3rd Bn, 1st Inf Div - Berlin) died a few years ago, he left behind a legacy for others to carry forward with the Berlin Veterans Association. Originally, he served in the Army Air Corps until it became part of the Army Air Forces, which were later disestablished by Congress (thus creating the U.S. Air Force). Among other assignments, he was stationed in Germany during the Berlin Blockade (Also know as the Berlin Airlifts), one of first major crises of the Cold War. While our family has several veterans and we honor of all them today, I would like to bring attention to the Berlin U.S. Military Veterans Association, the organization that consists of men and women who served with Les and/or were connected to him by serving in Berlin. Their service, like the service of all our veterans, need not be forgotten. 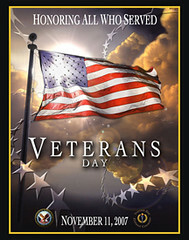 Another organization worth mentioning today is U.S. Vets. U.S. Vets is the largest non-profit organization in the country dedicated to helping homeless and at-risk veterans, and a nationally recognized leader in the field of service delivery to veterans. I have been close to this program on a number of occasions as a state commissioner with the Nevada Commission for National and Community Service (NCNCS), which administers AmeriCorps programs in Nevada. Every year, U.S. Vets helps more than 1,100 homeless veterans return to full time employment. It has one of the most successful homeless rehabilitation models in the country and I’ve been personally touched by their work on more than one occasion — including when a plumber, working on the kitchen sink in my home, shared his homeless story with me. As it turned out, he was graduating from the U.S. Vets program a few weeks later. I learned about Solders’ Angels after speaking with Rick Calvert, creator of BlogWorld. We wrote a short piece on how BlogWorld had donated a booth to Soldiers’ Angels on our community blog last week. 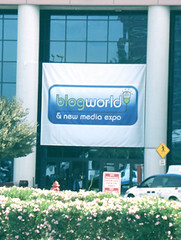 Last week, I had planned to share some insights into BlogWorld today, but that can wait until tomorrow. Today is better served by observing and honoring all those who have served so their efforts and sacrifices to this country and other countries are remembered always. Thank you, and bless you, one and all. Our veterans. Barbara Sweat (aka Jericho Saved/Jane), who publishes the JerichoMonster blog, never intended to become a popular television blogger (“Best TV Blogger,” in fact, after winning a recent contest held at Hey! Nielsen, where she took first place). Originally, she was inspired to blog because of her love for the CBS series Jericho, which became the fastest television show cancellation reversal in history after fans sent more than 40,000 pounds of nuts to CBS (among other things). Her blog was one of many that increased awareness about the cancellation protest. A short second season is expected in January. Sweat is still a dedicated fan, but her blog has since evolved from covering one show to covering many shows and topics. Now, she frequently interviews fans, bloggers, journalists, critics, production crew members, and celebrities. Sweat says the topic is especially relevant because she had endured verbal abuse from her mother all her life. As the words and labels embedded themselves, she recognizes that they began to shape her feelings about the world and, more importantly, herself. They no longer speak. Sweat’s Bloggers Unite post chronicles how verbal abuse sometimes escalates from put-downs under the guise of jokes into disparaging comments that aim to control, manipulate, and intimidate, leaving an impact on the victim forever. It also alternates between facts about verbal abuse and two fictional characters developed by her and her friend Beth. The characters, Edna and Margie (who are two “elderly sisters” purported to live in Jericho), were created for Amy Vernon’s “Jericho Guest Blogger” experiment at the Remote Access TV blog. 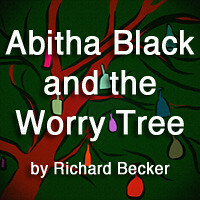 Although the characters are most often used to make observations about the fictional town as if they were part of it, Sweat thought that Edna and Margie’s conversation could drive the point home about abuse. The “voices” are their voices and the stories are very real. 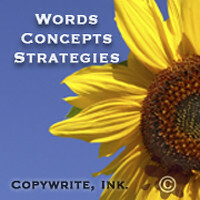 Sweat’s post earned second place in the Blog For Hope Post Competition, sponsored by Copywrite, Ink. in cooperation with BlogCatalog. Among the prizes, Copywrite, Ink. will be donating any proceeds from Bloggers Unite “Verbal Abuse” T-shirts to the Family Violence Protection Fund. The post helped inspire a simple design that aims to dispel the myth that names don’t hurt people. As her writing partner Beth added: verbal abuse is one of the most overlooked forms of abuse. While there are no physical signs and it leaves no bruises that can be seen, it can damage self-esteem, especially in children when their parents and siblings represent their most trusted sources of information. Parents and siblings tend to be believed. “It was an honor to help blog about such an important issue,” said Beth. “And I was very glad that I asked to participate in the Blogging Against Abuse contest." Sweat says they were encouraged to blog about abuse after learning about Bloggers Unite at BlogCatalog, where she has been a member for six months. She also said that she originally joined BlogCatalog to learn about social media and how to drive more traffic to her blog. Since, she has discovered a community of bloggers who share advice about a number of blogging issues. Participating in Bloggers Unite campaigns is especially rewarding to her. And, from what she says, she is not the only one. Sweat and her writing partner included a number of sources where victims and perpetrators can find help, counseling, and support. The judges commented that their post has the potential to touch everyone because everyone, at one time or another, is the victim of verbal abuse. In addition, we sincerely hope Sweat learns that the next step in healing is forgiving the perpetrators, which removes the power and influence of the abuser. It also greatly aids victims in their ability to heal. And, as I sometimes remind people, we are neither the labels that others assign nor the behaviors we sometimes exhibit. The power of choice resides within us all. Excellent post. Congratulations again, Barbara.